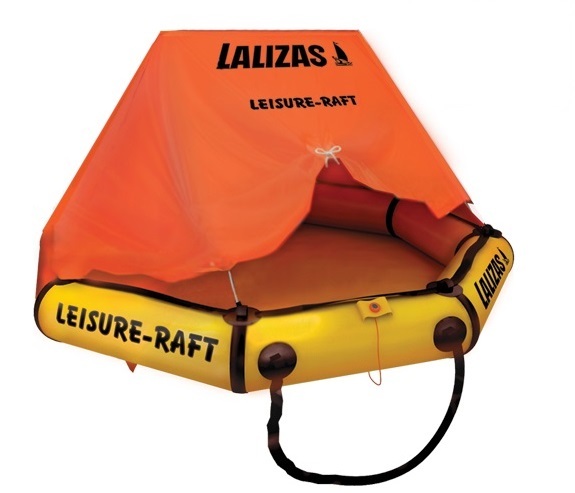 Ideal for inshore boating, the Lalizas Leisure Liferaft is ideal for those that don’t need a full feature liferaft, offering one of the smallest, lightest and inexpensive liferafts on the market. With it’s low weight, the Lalizas Leisure Liferaft is easy to deploy, and the compact size makes storage easy in the smallest spaces. Constructed from TPU coated nylon, with a Thanner CO2 inflation system, no expense has been spared in the design and manufacture of this liferaft.